The Howard Miller 625-542 Brass Works is an oversized gallery wall clock featuring a metal outer frame finished in antique brass and accented by four decorative antique brass finished screws applied to the dial. 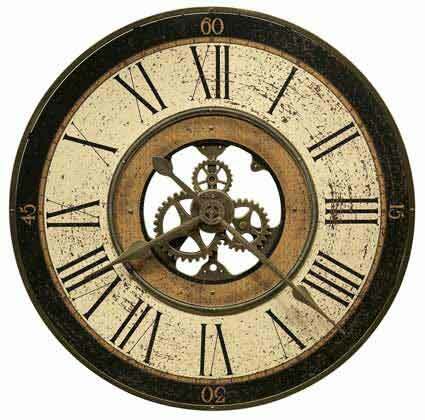 The dial features antique brass-finished stationary gear motif on a cast resin. Open hand design for easier setup. 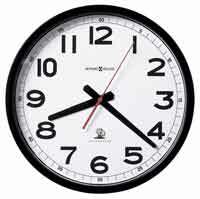 The gear in the middle of the clock turns as a second hand would rotate. Quartz, battery-operated movement requires 1 AA battery. 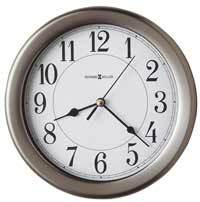 Clocks for sale at The Clock Depot including the 625-542 at discount prices.